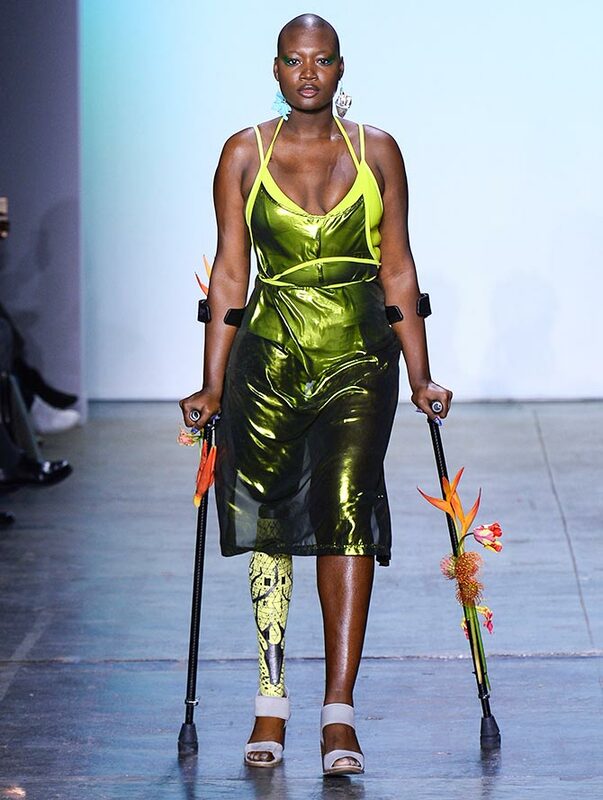 The Chromat's show held at New York Fashion Week won hearts for all the right reasons. The label Chromat, led by Florida-based designer Becca Mc Charen Tran is known for its creative swimwear and body wear designs. 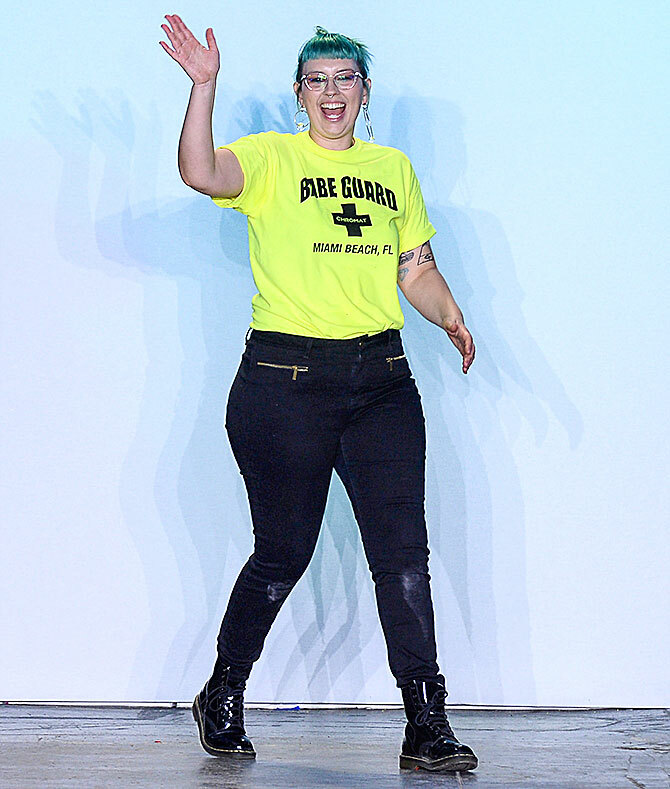 At the New York Fashion Week, Chromat showcased a bold, colourful and diverse collection inspired by the beach life at Miami. But more importantly, it built a strong case to focus on climate change and why designers and consumers need to think of moving to sustainable options. 'As I've been living in Miami longer, I've become more interested in climate change and global warming and how we (as a part of the fashion industry) are contributing to environmental devastation,' Tran wrote on her Instagram. 'Miami is on the front lines of climate change with rising water and increased flooding, and things like red tide, a poisonous algae that grows in the ocean (because of water pollution and ocean warming)- that causes rash and burns on the skin, kills marine life- fish, shellfish, even dolphins, and makes the air around the beach unhealthy to breathe,' the designer added. Tran's exclusive line of models celebrated women of all shapes and sizes. There was ample cellulite, soft bellies and flawed beauties on display. But people simply loved the show, the designer and her sustainable collection. Chromat's muses were just as diverse as the collection that focus on climate change and the need for sustainable clothing. The models carried a bit of flora and fauna to express their love for the environment. 'Chromat has been using a sustainable swim lycra since we started doing swim 5 years ago (it's a lycra woven with nylon made of recycled plastic bottles and discarded fishing nets), and we use up-cycled fabrics and have always required fair labor practices in our factories,' the designer detailed on her Instagram. 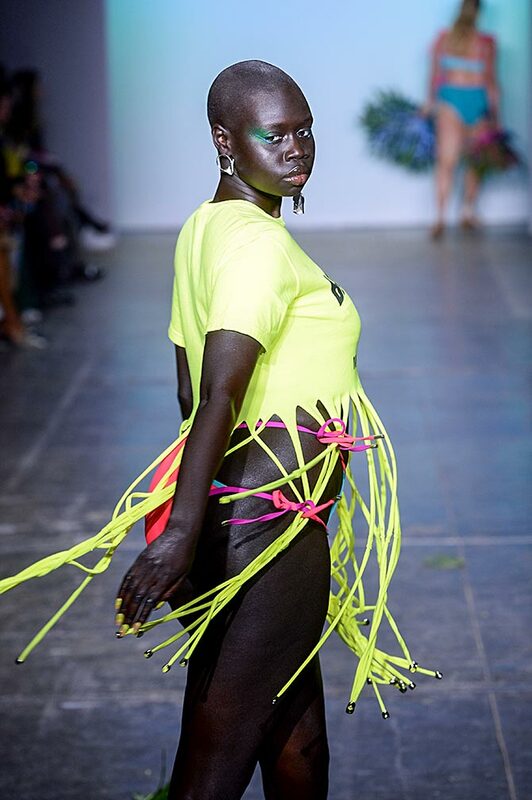 The collection saw neon colours make a splash on the runway. 'I want to make sustainability a bigger part of our brand messaging,' Chromat's founder and designer shared her vision. The show was inspiring because it addressed three crucial elements in fashion -- the need for inclusivity, diversity and responsibility. As the models walked, the audience clapped and cheered. That's Becca Mc Charen Tran, the designer everyone is cheering right now!